Google Sites are a handy tool that help you collect the information a group needs to work together in one convenient place. They are great for time-bound initiatives, like supporting workshop participants before, during and after the event, holding a consultation with stakeholders, or for ongoing collaboration and information sharing across a community of practice. Available as part of the Google Apps suite on cgxchange.org, Sites is an online website building application that helps you set up a site based on templates and assign viewing or editing rights to specific people, whether colleagues from CGIAR or partners around the world. CGIAR staff can access and use Sites with their cgxchange.org account. See how to get started with Sites. But how are people using this tool? What for? Here's where examples come in handy to show the possibilities. Yours truly has scouted five websites that CGIAR colleagues have built with Sites on cgxchange.org, that hopefully will inspire you for your next collaborative project. What for: provide key logistical and agenda information for an upcoming workshop. The site hosts information on participants, the agenda, news and useful background documents. 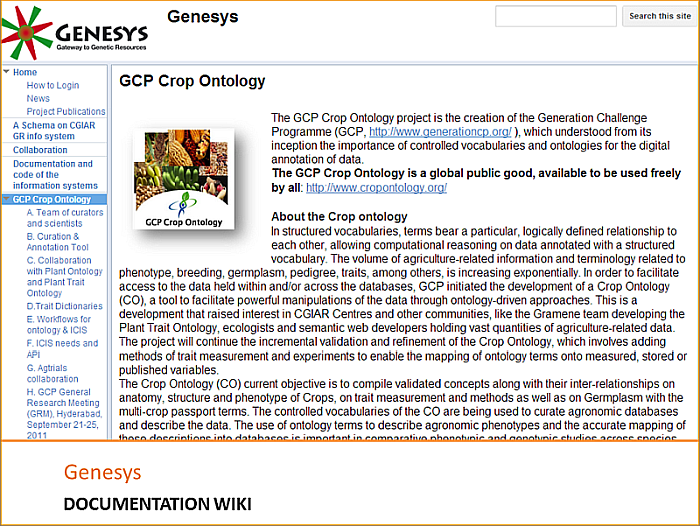 What for: enable collaborative updates of the guidelines for GCP Crop Ontology curators. The site is no longer being updated, but remains a classic example of a collaborative documentation wiki. 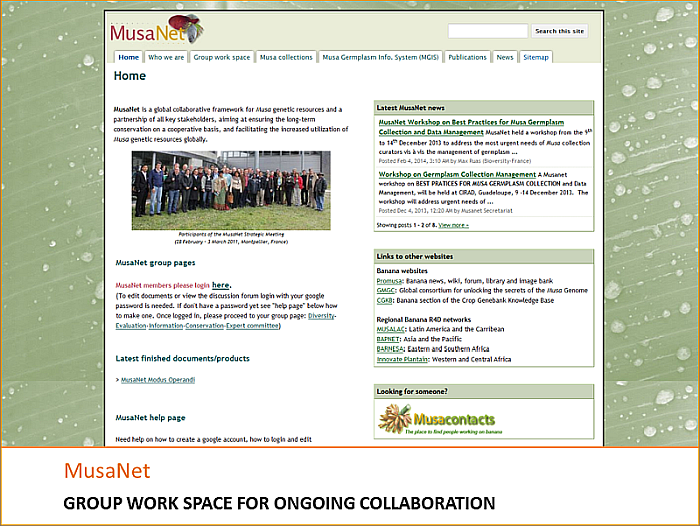 What for: provide a group work space for the Global Musa Genetic Resources Network, in short MusaNet, a global collaborative framework for Musa genetic resource experts. 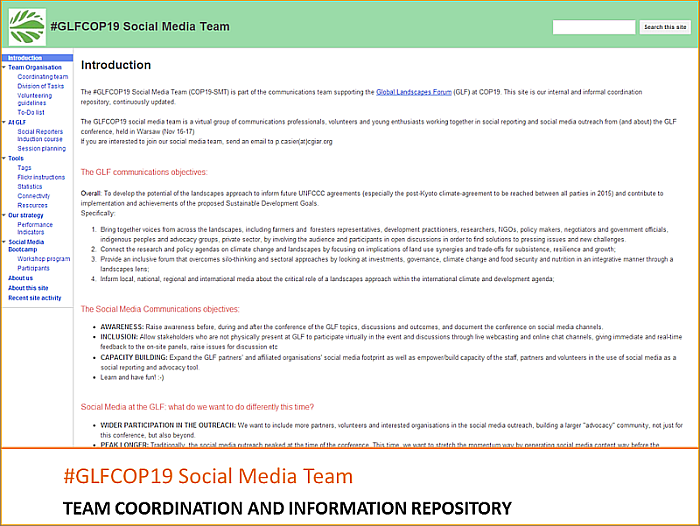 The site hosts links to resources of common interest and work-in-progress for the four thematic groups in the network: Diversity, Conservation, Evaluation and Information. MusaNet also aims to strengthen ties and facilitate information exchange among the regional Musa networks. 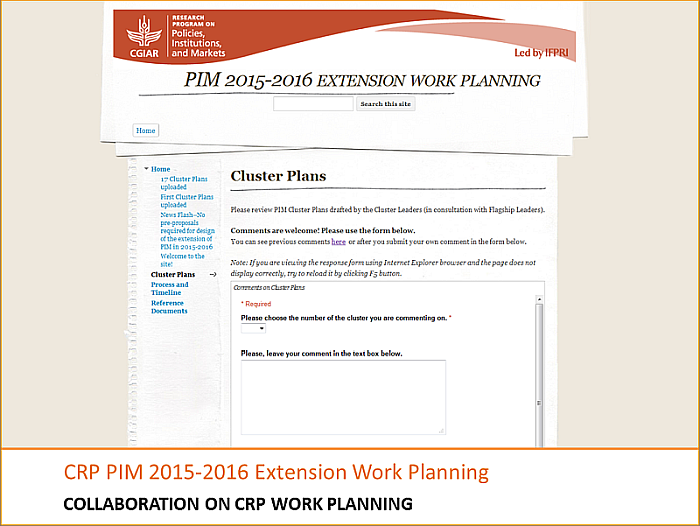 What for: facilitate a cross-Program consultation process to develop the PIM extension proposal. fill in a questionnaire to give their feedback or express interest to participate. prepare the onsite training and social media bootcamp. Intrigued? More than 400 sites have been set up on cgxchange.org over the years. Go get started with Google Sites and dive into this tutorial on how to create and share a Google Site. Author's note and credits: I found some of these sites one day when I was looking at traffic analysis of cgxchange.org. I got curious about the fact they were showing up in the stats and started a scouting mission for sites that demonstrate how teams can do work online. 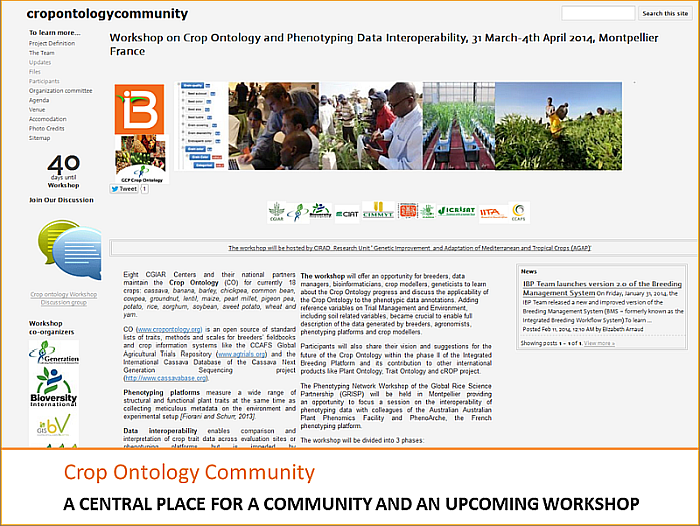 A big thank-you goes to the site creators who helped review the sites and provided great suggestions: Luca Matteis (Bioversity) for the Crop Ontology sites; Rachel Chase (Bioversity-France) for MusaNet; Evgeniya Anisimova (IFPRI) for the PIM Work Planning; Peter Casier (CGIAR Consortium) for #GLFCOP19.